and in some instances incorporate a workshop. Queen of Serpents, Myth Interfaces Routine is an exhibition promoting the preservation of indigenous identity and respect for its idiosyncrasies through a wearable design aesthetic. A festive gathering is drawing together in a circle around an illusionary fire. The symbolic ceremony recreates a time of connection and cleansing that charges the viewer mythically and poetically. Nine original flags are used to lead people to the ritualistic scene. The aesthetic is continued into monumental wall hangings that depict tree characters from the myth. Ancient world signs of a Serpent and Egle, which is ‘Spruce’ when translated to English, symbolize destiny and fertility. Signs of divine and earthly powers are hand embroidered in the compositions. Many of these symbols from a pre-Christian world share the same semiotics in many parts of the world guiding us in our understanding of a time when humankind was more united spiritually. 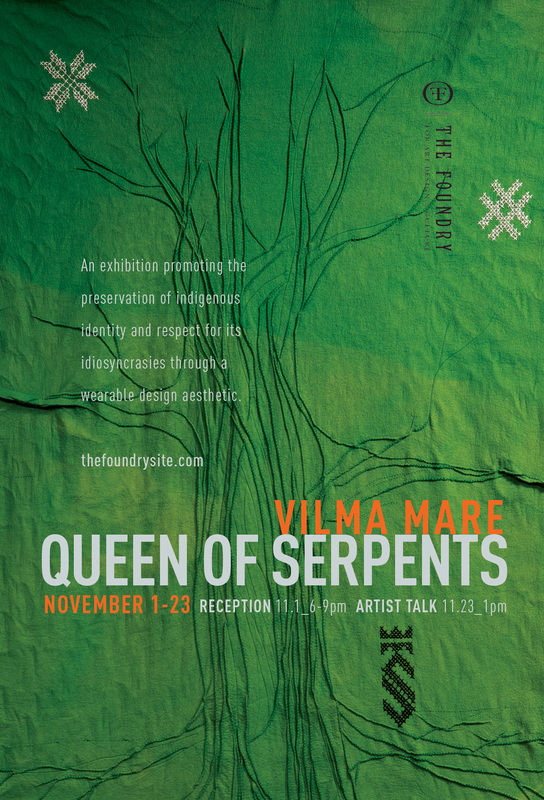 Through this exploration, Vilma’s aim is to recognize still alive ethnic traits and conceptually propagate them as essential links to a lost, spirit oriented perception of the universe. 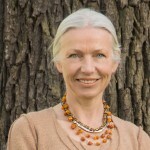 Vilma recognizes in contemporary oeuvre the need for the old world’s prudence and closer connection to our sacred nature. This event is a co production by The Foundry for Art Design + Culture, 2440 Design Studio and Electric City Couture. This event is sponsored in part by Universal Preservation Hall and Saratoga Pool and Tub. Additional exhibition support provided by 2440 Design Studio. 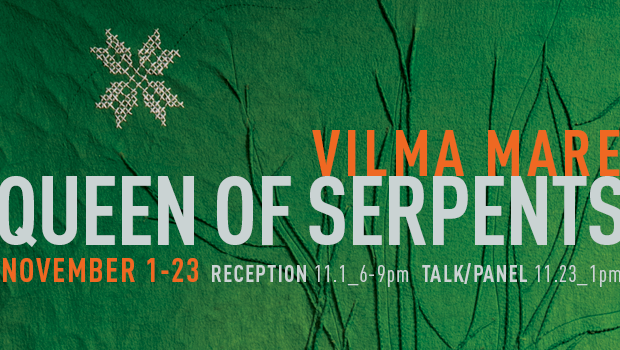 Join fashion designer/artist Vilma Mare as she discusses the modern day preservation of indigenous identity and respect for still alive ethnic traits as essential links to a lost, spirit oriented perception of the universe. This exploration can fill a contemporary need for an old world prudence and closer connection to our sacred nature. Join Nationally acclaimed Author and Public Speaker James Howard Kunstler, Fashion Designers Vilma Mare (Founder of Baltic Style) and Kathleen Tesnakis (Founder at `e ko logic) in a panel discussion about the psychological impediments to rebuilding local economies and the obstacles faced by the artisan community as they strive to overcome the day to day challenges of competing in a global economy. Vilma Mare came to the USA from Lithuania in 1989. She continued her studies at F.I.T. Vilma adapted quilt making tools and techniques to fashion design and after 10 years of experimentation came up with an inventive design aesthetic that brought along an original style. With this new de-constructive technique, Vilma was able to produce seasonal collections on a small immigrant budget to sell into hot NYC boutiques like Patricia Fields, Antique Boutique, About Time, Henri Bendel, Bond 07 and others. 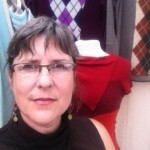 Vilma currently works out of her atelier in Great Barrington, MA under the label Baltic Style. 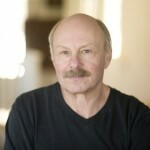 James Howard Kunstler is the author of the The Long Emergency, the Geography of Nowhere, Too Much Magic, the World Made By Hand novels, and many other books. He was a reporter for the Capital Newspapers in the 1970s and an editor with Rolling Stone magazine before dropping out to write books full time. He has lived in and around Saratoga for over 30 years. Kathleen Tesnakis, textile artist and designer created `e ko logic in 1996 as an exploration in reuse. All `e ko logic products are handmade by recycling post-consumer cashmere sweaters into one-of-a-kind clothing and accessories. In the 18 years since `e ko logic was founded, over 7 tons of used clothing has been rescued and transformed. Her work has been featured in Organic Style magazine, the SF Gate, the NY Times, Chronogram, American Craft Magazine and on Daily Candy. All production and design work is done at her atelier in Troy, NY.